The WMX Bathroom storage heater is ideal for bathrooms, is IPX2 rated 'drip proof' and an optional towel rail is available. 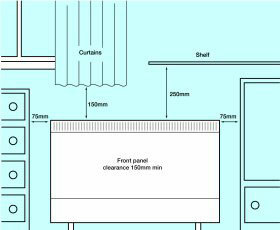 Heat input and output are pre-set for optimum efficiency and is designed to provide a cost effective heating solution. 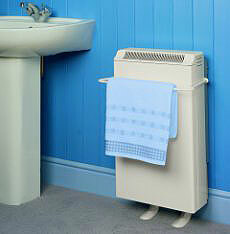 This heater is also ideal for cloakrooms, hallways, kitchens and other small areas. The WMX range of manual input storage heaters are designed to provide cost effective heating solutions. The WMX input and output controls are user adjustable ensuring that the desired comfort levels can be maintained at all times. The WMS range is designed for energy efficient heating in domestic and commercial applications. WMS storage heaters operate at optimum efficiency, on all economy tariffs and automatically regulates the stored heat required with built-in twin sensing technology which results in energy saving and lower running costs. The user adjustable twin-sensing control regulates the input charge automatically to ensure that comfort conditions are economically maintained. A further comfort boost of heat can be released by adjusting the output control (once set, the boost will automatically occur every day). 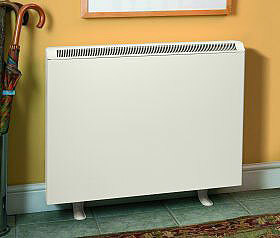 The WMCS range combines the benefits of economy storage heating with the flexibility of "direct-acting". The storage heat and convector can operate separately or simultaneously with the built-in convector allowing the user to enjoy heat on demand while a thermostat automatically maintains the convector element. The WMCS also utilises user adjustable twin sensing technology to automatically regulate the amount of stored heat needed, thereby saving on energy and running costs. The convector switch incorporates a neon indicator to reduce inadvertent use. Storage Heaters are shipped in cartons. 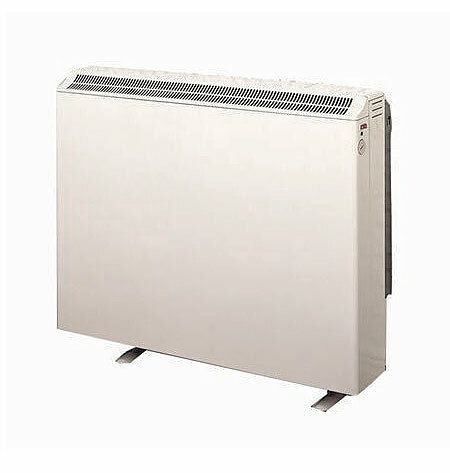 Storage Heater bricks are supplied in packs of 2 and are assembled into the heater by the installer on site. Storage Heaters are supplied complete with mounting feet, wall fixing bracket (if applicable) and comprehensive fitting and operating instructions.